In late October, Tower Hill Development Corporation celebrated the grand opening of its distinctive 2221 Yonge Condos project. Since then, it continues to win buyers over with its contemporary exterior, convenient location and impressive list of amenities. The cutting-edge architecture is the collaborative work of New York-based Pei Partnership Architects and Toronto’s Quadrangle Architects. Merge the two design firms together and you get a 56-storey pentagonal tower that sits atop a six-storey podium, complete with expansive balconies and brightly-lit spaces. Munge Leung, a leading interior design firm, is also behind the building’s deluxe decor. 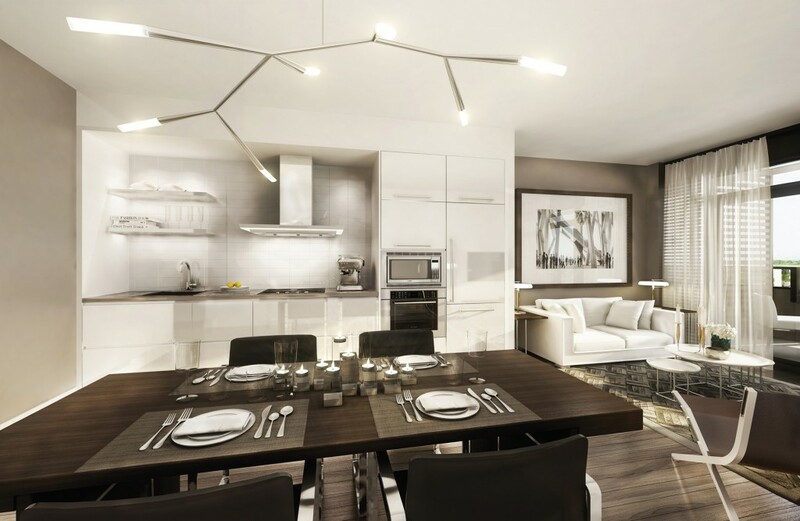 It’s no surprise condo-seekers have been drawn to the development’s freshly released renderings. Residents can look forward to more than just the decorative finishes. The high-rise will be decked out in beautifully-designed amenities, from a hotel-inspired residential spa with three plunge pools (yes, three!) to a spacious fitness centre. 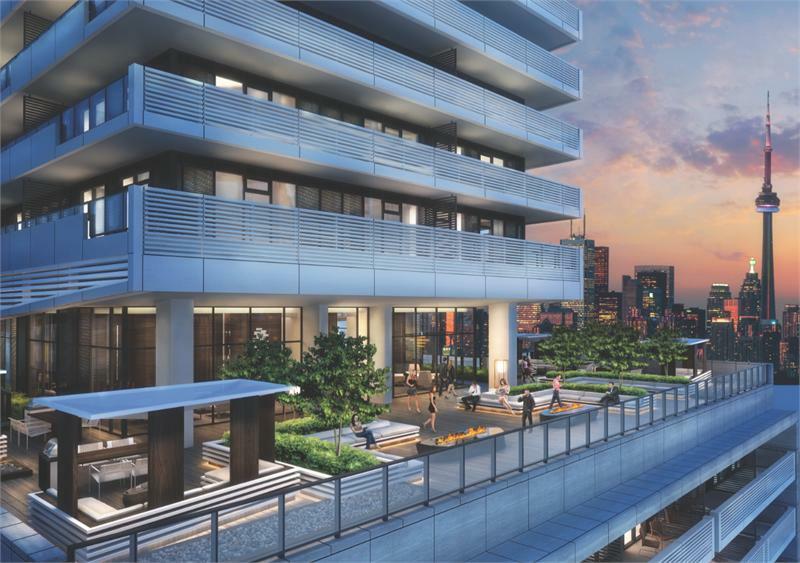 Purchasers will also enjoy the rooftop terrace with scenic city views, outdoor cabanas and private dining areas. Interested? We have good news: Tower Hill’s limited-time “Grand Opening” incentives are still on the table. You’ll receive a five per cent down during the first year, up to $20,000 in savings and an extended deposit plan. 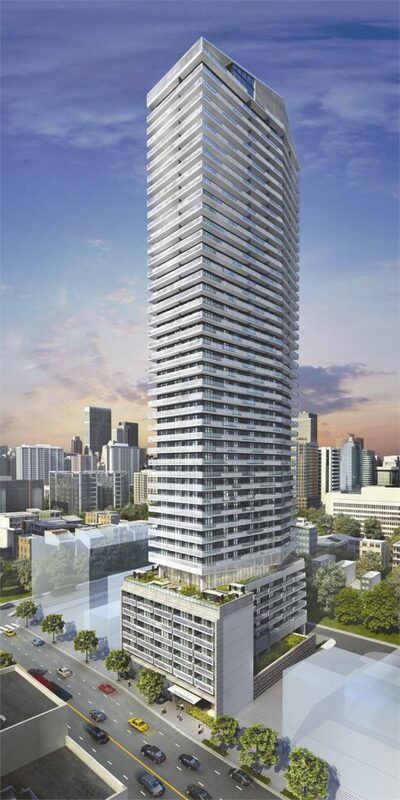 Located at Yonge and Eglinton, 2221 Yonge is nestled in an amenity-filled neighbourhood. Residents can stroll down Yonge and browse in the many retail shops, restaurants and cultural venues that line the street. When you need a break from the hustle and bustle, you’ll also be surrounded by acres of lush green space. The project will house one-, two- and three-bedroom suites, with prices starting from $199,990. Suites range in size from 423 to 707 square feet.